Move Over, Home Theaters… ‘Show Sheds’ Are The New Thing Now! Mitzi & Tim have been married since 1999 and together they have 4 children. They have a strong belief in giving back to the community, and share this passion with their children. Mitzi is President of the Platteville Music Boosters, member of the Platteville Main St Committee, former member of the Cuba City Lions Club, and volunteers throughout the year for the PTO, as well as the Platteville Middle & High School and various other endeavors. 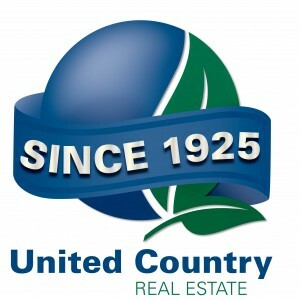 Mitzi is the Broker/Owner of United Country Town & Country Realty. She has been a full time agent since 2008, continuously serving the Grant, Iowa & Lafayette County needs. Mitzi's background is in sales, marketing, and customer services, making real estate the perfect fit! Mitzi attended Southwest Wisconsin Technical College as well as University Wisconsin Platteville for her Business & Marketing background. Mitzi was determined to make a difference in this field and continually goes above and beyond for her clientele. She offers her clients Property Enhancement Ideas, Complete Marketing Plan, Clear Communication, Strong Negotiation Skills, Complete Transaction Management, In Depth Market Analysis, and then the fun one....the Client Appreciation Program! As she puts it "Our deal doesn't end at the closing table, I love dropping by every now & then with a gift in hand just to say "hi! ".